AE6Y will be active again from Aruba Island, IOTA SA - 036, in ARRL DX SSB Contest, 2 - 3 March 2019, as P49Y. He will operate in SO. Andrew L Faber, 16321 Ridgecrest Ave, Monte Sereno, CA 95030, USA. Aruba, located at the Northern coast of Venezuela, is one of the countries that form the region of Netherlands. The Island is characterized by several sandy beaches but has no river, while its tropical climate is greatly influenced by the trade winds supplied by the Atlantic ocean. Aruba has 5 major cities and the capital is Oranjestad. Other cities are; Palm beach, Noord, Paradera, and Santa Cruz. The legal currency acceptable in Aruba is the “Florin” which is represented by “AWG”. Temperature in Aruba often fluctuates around 27 degrees Celsius, and the Island has a moderate rainfall that do not exist 20 inches in a year. Aruba is one of the safest Islands as it lies outside of the Caribbean Hurricane belt. 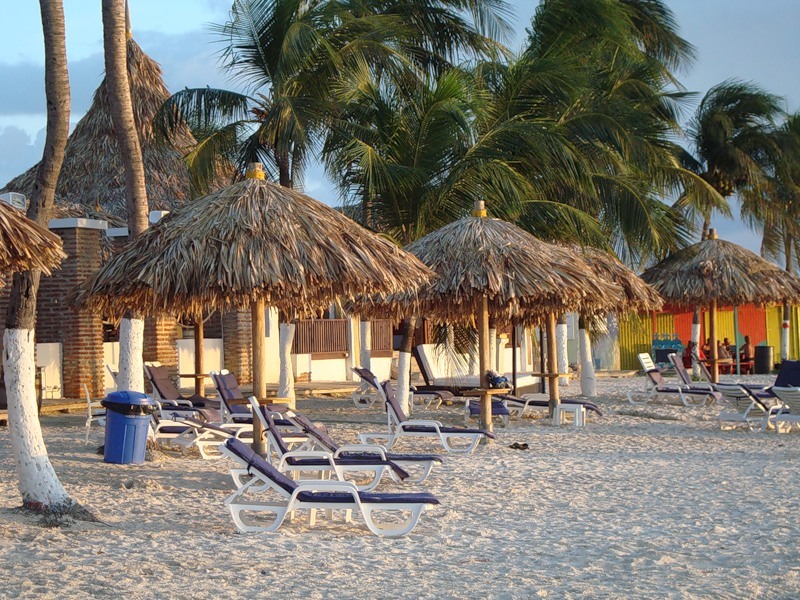 Aruba is also characterized by warm waters and sandy beaches. It also has a rough sea with some unfavourable sea torrents. Aruba’s coasts are divided into the North and south coastal seas, the southern coastal land is characterized by white sandy beaches while the northern region is close to the Atlantic , therefore it has lots of torrential currents that are not suitable for many water activities. Aruba has a tropical marine climate, and the fact that it is located in the Southern region of the Caribbean exposes it to lots of sunshine. The continuous breeze on the coastal region makes the heat from the sun less scorching. Aruba weather is usually dry with lots of night rainfall while temperatures are at the highest especially between the months of January and March. The landscape of Aruba is characterized by a flat Island with some few hills alongside some desert vegetation. Mount Jamanota is the highest point in Aruba and stretches to 188m high. •The Conchi- also known as the natural pool is one of the most fascinating places to visit in Aruba. This is a small pool of water found in a rock formation and on the Northern part of the Island. • The California Lighthouse- This is the northernmost area of Aruba, and you can get to the dirt trails that lead to the Northern coast of the region. •The Cassibari and Ayo rocks – You can climb on the Ayo and Cassibari formations if you want to access the country side. •The Boca Andicuri – this is where you find the 7 natural bridges and these comprise of standing and fallen natural bridges. • The ruins of the smelting station- These are the ruins of the ancient smelting station in Aruba. Climbing over the ruins of the station will give you the chance to take several wonderful pictures. • The famous Ostrich farm in Aruba- The Aruba ostrich farm gives you the opportunity of taking a tour of the pens and incubators where hundreds of Ostriches are born and raised every day. Ostrich is a popular meat in Aruba and it is consumed because of its rich protein and low fat compositions. • Arikok National park- This National park gives you an excellent view of the old lava formations that stretch even into the coastal seas. These formations have played vital roles in the history of Aruba. •The Hooiberg- also known as the Haystack mountains are located in the center of the country , these stand at over 500 meters tall and provide a wonderful view of the country. • The donkey sanctuary- this sanctuary can be accessed from anywhere in the country and as many as 140 donkeys call this sanctuary their home. The sanctuary is opened between 9am and 4pm every day. • Historical, archaeological and Numismatic museums , adorn several places in Aruba and these tell even more stories about the country’s history. Aruba offers lots of activities for everyone , some of these include; snorkeling, horse riding, hiking, Rock climbing, Windsurfing, Kayaking, Fishing, Sailing, sea trek, 4-wheel tours, and many more. Aruba provides a long list of white sandy beaches with pebble stones and good swimming conditions that support diverse water activities. From shallow water to calm water, you will always find something to suit your needs. The Eagle beach has been rated as one of the best 10 beaches in the world, and if you love extreme sports , you should consider visiting the Boca Grandi beach. Aruba’s economy greatly relies on tourism and most currencies can be exchanged for the local currency. There are quite a number of vendors and stall owners selling souvenirs bearing some Island theme designs . There are quite a number of large supermarkets where you can buy Caribbean products. If you are looking for something to eat, there are quite a lot of chain restaurants that sell something you are looking for. You need to eat the traditional baked cheese also known as Iguana soup or some other traditional foods sold at the local restaurants such as Nos Cunucu. There are quite a number of random bars you can find by the road side and you don’t have to be afraid of eating at such. Imported Dutch beer are widely popular in Aruba, and you can also drink the native Balashi cocktail made from Bala bala which is brewed right on the Island. Several resorts are located on the Aruba Island, and these include the Hotels located in the downtown areas as well as those located very close to the beaches. The Hilton hotel is one of the best hotels around here and it organizes several cruise ships all year round. The Marriot club has an holiday Inn that service its clients all year round and you can also find other clubs such as ; The ocean club, and Surf club where you can enjoy lots of swimming adventures. Aruba is accessed internationally via the Reina Beatrix International Airport which is located on the Western region of the Island. The country has no National carrier but it is serviced by most International airlines from Europe and Northern America. P49Y. Where is Aruba located. Map. 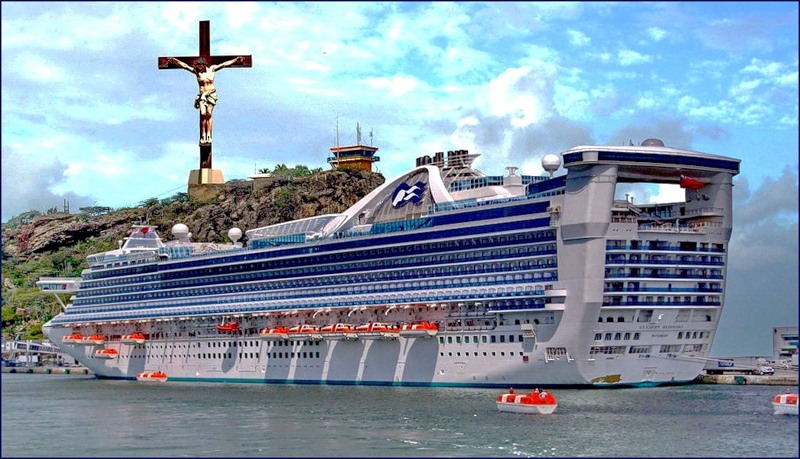 I have a question about the picture above , containing the ship below the the crucifix, and control tower in background. Where is this on Aruba? I have been there only a couple times, but have toured island extensively, and don't recall seeing this anywhere on Aruba. Thanks in advance.